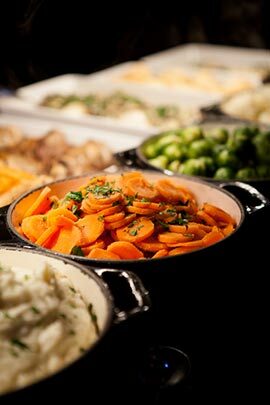 The Carvery is always available Monday to Saturday 12 noon to 2pm and 6pm to 9pm and all day Sunday 12noon to 8pm. A variety of freshly prepared, quality regional favourites are always available. Gluten free – most of our dishes are suitable for gluten intolerant customers. Please ask our staff – they will be happy to advise. Reservations are taken for parties of 6 or more. Otherwise, just turn up and you will be made welcome. Special menus can be created for private parties and functions. The above selection is subject to change with the seasons. The Anchor at Whixley has a food hygiene rating of five, from Harrogate Borough Council. It has done so every year since the ratings were introduced. Carvery open every day. No need to book - just turn up!